Italian Mastiff dog was originated in Italy. It is also popular with the name of an Italian Corso dog. In addition to this, there is another common name of Italian Mastiff dog which is the Cane Corso Italiano. Previously this dog breed was used as guard dogs. People love to have the Italian Mastiff dog for safeguarding the livestock, property, and owners. 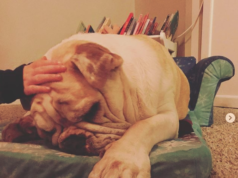 Let’s reveal the facts about the Italian Mastiff weight and height. The male Italian Mastiff dog depicts the weight range of 45kg to 50kg. The female Italian Mastiff dog has the weight range of 40kg and 45kg. When it comes to the height of Italian Mastiff dog, it is found to be almost similar to its ancestors. The height of the Italian Mastiff dog is about 58–70 cm. They are distinct in appearance from the other dog breeds. It has a long large head, flat forehand, and muzzle. Italian Mastiff dog has darker eyes, which are almond in appearance. Many of the owners consider the cropping of their pet ’s ear for fashion while not all the owners go for ear cropping. Head is considered to be one of the most prominent features of this dog breed. The coat colors of Italian Mastiff dog are basically fawn and black. However, you would find brindling in this dog breed. It can be Grigio Tigrato or Tigrato. Moreover, the genetic dilutions of these basic pigments produce a myriad of variety in coat colors. White markings are not acceptable for the Bullmastiff dog except on the chest portion. While the Italian Bullmastiff dog has white markings on the chin, chest, nose, and toes. However, huge white markings are not likable for this dog breed. The Italian Mastiff dog is the perfect police dogs. There was a research conducted in almost 25 countries for revealing the facts about Italian Mastiff dog. 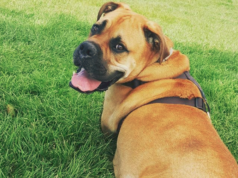 In this study, 232 Italian dogs were studied and the average lifespan of Italian Mastiff was found out to be 9.29 years. These can be trained easily. This hybrid dog breed is docile, courageous and affectionate. 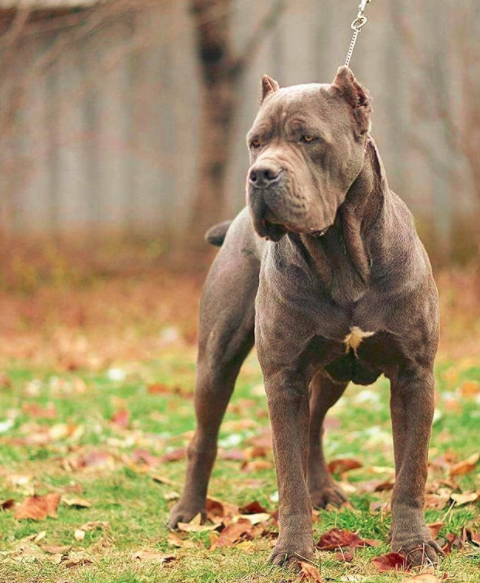 In 2010, the Italian Mastiff dog was finally recognized by the AKC (American Kennel Club). It is a strong muscular dog having much resemblance with Neapolitan Mastiff. Tail docking is quite common. 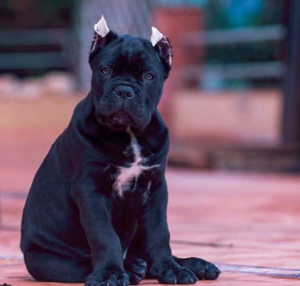 The diseases in Italian Mastiff dog can be controlled at the early stage of life only if the owner takes good care of the pet. Early diagnosis and treatment can aid much in ensuring the best health of the pet. Delayed treatments can lead to the worsening of the situation and can even prove to be more lethal for your beloved pet. The regular check up of the dog is necessary. Hence, the owners should consider taking their pet to the vet in order to ensure their good health. Moreover, regular walk, exercise, and the balanced diet are quite necessary for the health of your beloved dog. 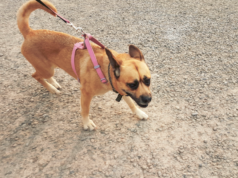 Have you heard about the Bullmastiff German Shepherd Mix? It is the hybrid breed having fabulous traits of German Shepherd and Bullmastiff dog. Read on to know more!